Jimmy is currently equestrian vaulting. Equestrian vaulting is gymnastics and dance on the back of a moving horse! 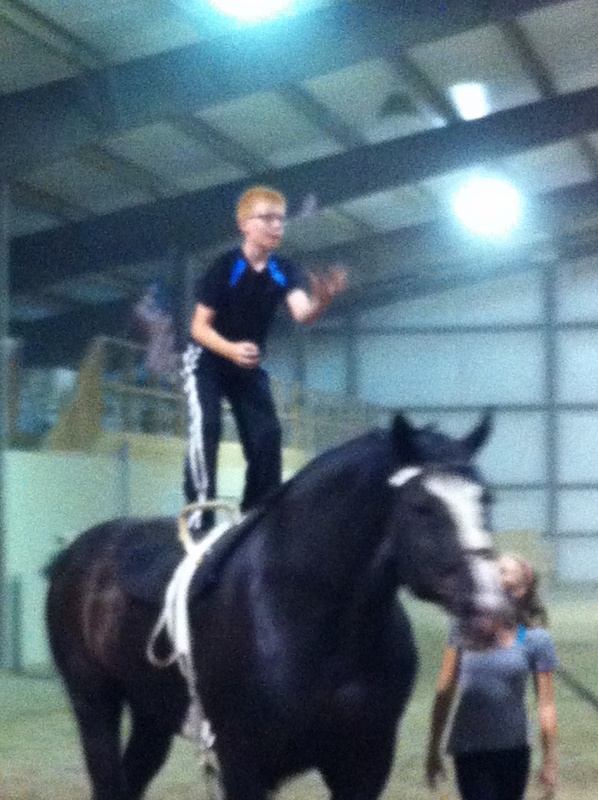 Jimmy started vaulting 7 months ago and has gone a really long way. He really likes it.